Saw this guy at a golf course country club thingy today. The Elder Extroverted Holy One’s older brother and his wife, daugter and son are in town this week and we had brunch with them somewhere around Hendersonville. 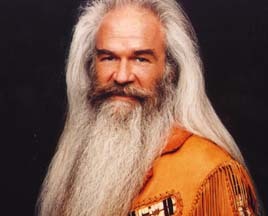 This high-falutin’-collared-tucked-in-only-unless-it’s-designed-not-to-be-tucked-in-shirt-only place seemed a little out of the ordinary for William Lee Golden. But then again I don’t know they guy at all. He just didn’t blend in well with all of the other short haired yuppy, quite possibly replubican types that were browsing the pro shop. As we showed her the Elder Extroverted Holy One’s ultrasound picture with a new itty bitty (quite possibly extroverted) fetus. Needless to say, YEO is very excited to be a big sister!